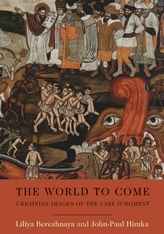 Icons and murals depicting the biblical scene of the Last Judgment adorned many Eastern-rite churches in medieval and early modern Ukraine. Dating from the twelfth to the eighteenth centuries, these images were extraordinarily elaborate, composed of dozens of discrete elements reflecting Byzantine, Novgorodian, Moldavian, and Catholic influences, in addition to local and regional traditions. Over time, the details of the iconography evolved in response to changing cultural resources, the conditions of material life at the time, and new trends in mentality and taste. 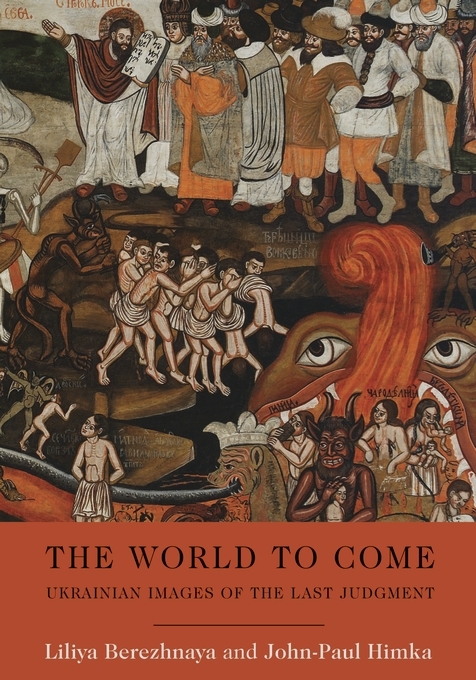 The World to Come lists and describes more than eighty Last Judgment images from present-day Ukraine, eastern Slovakia, and southeastern Poland, making it the largest compilation of its kind. Photographs show overviews and details of the images, and most are printed in full color. The icons and murals provide a valuable source of knowledge about the culture in which they were created: what was meant by good and evil, what was prophesied for the future, and what awaited in the afterlife.